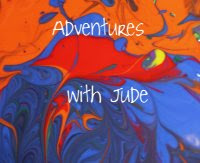 We have become huge fans of Heirloom Audio Productions' series, The Extraordinary Adventures of G.A. Henty. Their third release, With Lee in Virginia, was a much-anticipated edition here. Not only did we recently study the American Civil War, but we were literally going to be "with Lee in Virginia" this summer -- we were heading to Appomattox Court House National Park. The timing couldn't have been better! Like the previous releases, Under Drake's Flag and In Freedom's Cause, the producers have assembled an all-star cast. Brian Blessed returns as narrator George Henty, while a cadre of well-known Americans lend their voices to the other characters. Actors Kirk Cameron (Maj. Stonewell Jackson) and Sean Astin (Gen. Jeb Stuart) need little introduction; Andre Soggliuzzo, who has lent his voice to animation productions ranging from Avatar: The Last Airbender to Wolverine and the X-men, voices the titular character, General Robert E. Lee. 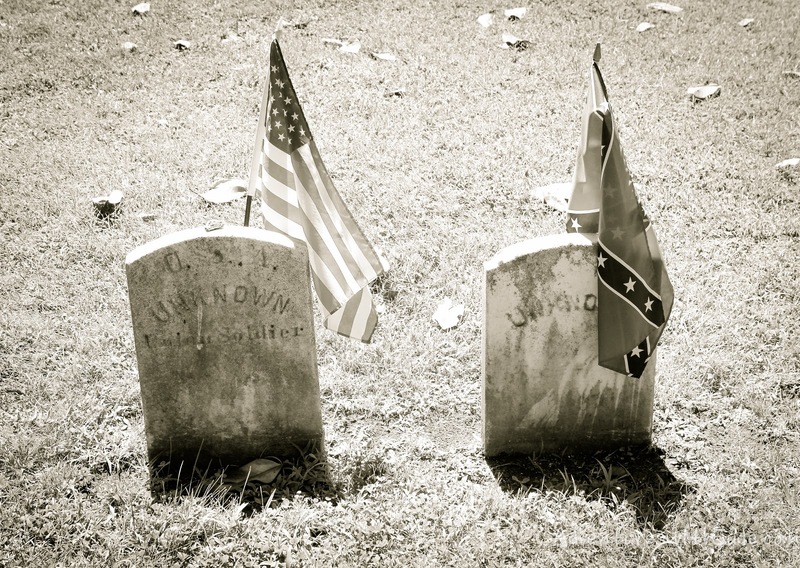 History tends look at war from the side of the victor, and the Civil War is no exception. There is plenty to study about the Union generals, but the leaders of the Confederacy are often overlooked. There tends to be an "us vs. them, winners vs. losers" mentality, especially in the current political climate. However, it's important to remember than many of the soldiers -- from infantry on up to Supreme Commander General Lee -- were once soldiers in the Federal army. In fact, Lee - the son of Revolutionary War hero "Light Horse Harry" Lee - graduated from West Point with an unblemished record, proved his mettle on the battlefield of the Mexican American War, and returned to West Point as an instructor. President Lincoln even offered him the position of commander of the Union army. I think history tends to cast Lee as a "traitor," but With Lee in Virginia shows a different side of the man. Here, Lee struggles with the battle between his belief in Virginia's sovereignty as a state and the principles of the nation for which he has already taken three bullets. How can he choose? However, he must choose; he decides that the right to state government is more important and resigns from the United States Army. However, he is still a man of honor; he fights for the Confederate States of America with the same passion and intensity he served with in the Federal army, and when surrounded at Appomattox, surrenders rather than needlessly risk more lives. He is so regarded that General Ulysses S. Grant does the seemingly unthinkable -- he allows Lee to keep his sword after he surrenders his army. Lee wrote surrender terms on the marble-topped desk on the left as Grant waited on the right. We also get to experience the war from the perspective of a Cavalry youth. The hero of our story, Vincent Wingfield, is fifteen years old and a plantation heir. Yes, he's a slave owner, but one with a conscience. He refuses to allow another owner to beat a slave, and even does the unthinkable -- he buys that slave's wife and toddler son, to prevent them being separated, and later aids the man in escaping to Canada. I think Heirloom has done a nicely balanced presentation. Is slavery wrong? Absolutely. Was there horrible mistreatment at the hands of owners and overseers? Again, absolutely. But Henty's story shows that while slavery is wrong, the politics of it aren't as simple as "just let them go," nor was every slaveholder a monster. When young Vincent is finally old enough to go off to fight, he goes not as a slaveholder, but as a Virginian fighting for his state's ability to govern itself. He also is a bit starry eyed, like many of the boys in his regiment; patriotism runs high and they've not yet seen the blood running deep. Almost immediately, we know the blinders come off when his dearest friends are shot down in the heat of their first battle, and by the time Lee surrenders, Wingfield yearns for nothing more but to return to home and peace. 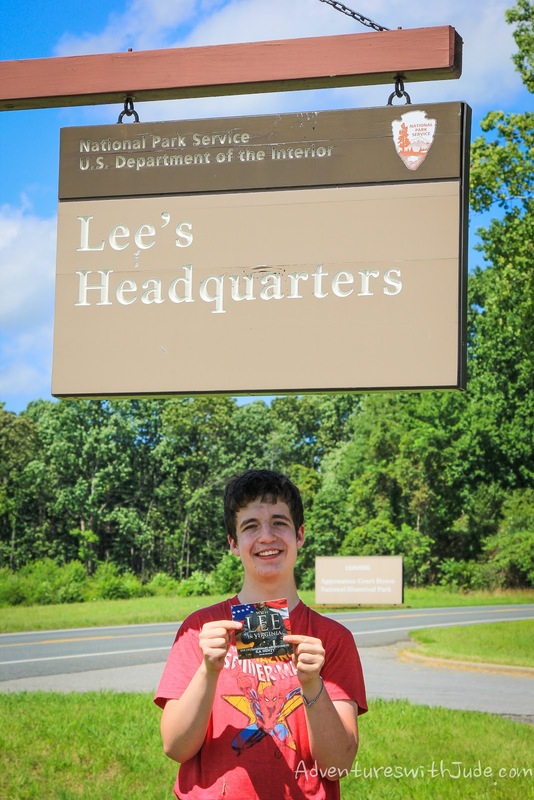 Luke has been studying American history, and over the past two summers we've been able to visit a number of battlefields. It's easy to leave there feeling pride in the Union's ability to hold off the Confederacy; between the near simultaneous battles at Gettysburg (PA), Vicksburg (MS), and Chickamauga (GA) and Chattanooga (TN), the Confederacy became so fractured that its fall was inevitable. However, at each site, I've asked him to stand both on the Union territory and in the Confederate lines, and imagine feeling strongly enough about your side's beliefs that you'd volunteer to die for it. The bulk of the story is told through Wingfield's experience as a soldier, with Lee actually playing the role of a mentor. He teaches Wingfield that each man has to decide what is most important to him, and commit to that decision. The honor of a man, Wingfield realizes, is not in his absolute success, but his commitment and his word. He wasn't a traitor for intervening in his neighbor's abominable treatment of a slave; the law said the slave was a property, but his conscience said the slave was a man. At one point, he gives a fallen Union soldier a cup of water - at that point, he was no longer the enemy, but rather another dying man in need of comfort. That soldier, in turn, gratefully directs Wingfield away from certain capture. Did each turn his back on his nation, or did they simply follow the greater mandate, "Love thy enemy"? When Wingfield asks Lee how he manages to balance who he's been with what he knows and what he sees, and to find the courage to take his path, Lee states, "Do your duty in all things. You cannot do more, you should never wish to do less." At Appomattox, again, I asked Luke to place himself in each general's position. I wanted him to realize that Lee chose his path, right or wrong by history's yardstick, and stood firm. Perhaps Lee should have given up sooner, but no man -- no nation -- wants to admit defeat if there was still a prayer of success. At Appomattox, Lee realizes that to continue to fight will only result in pointless deaths. His commitment to the Confederacy had not wavered, but his honor dictated the duty of sparing the lives of his troops. Henty's writings have a decidedly Christian undertone that is honored in the audio drama. Frequently, there were times where the characters were engaged in prayers for the success of their campaign and that their lives would be spared. As we listened to Lee pray for guidance throughout the two hour story, a slack-jawed Luke gasped and repeated this passage of Abraham Lincoln's second inauguration speech that he had studied. At Gettysburg, we learned of the Union's prayers, especially Fr. Corby's blessing as the Irish Brigade went into battle, and it made sense that both sides were praying to the same God -- there is only one of Him. 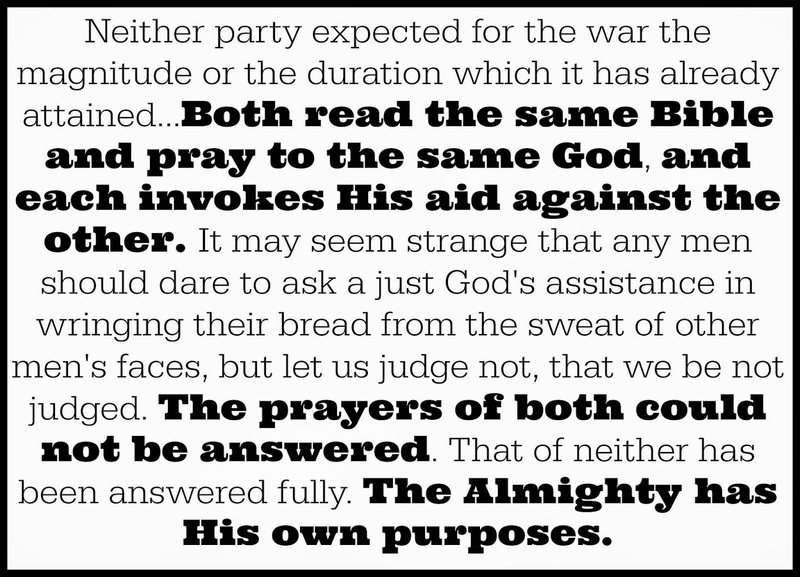 However, to experience the prayer of the other side illustrated just how difficult war is, and how truly, "The Almighty has His own purposes." Now, it's easy to say "With Lee in Virginia is one man's story, and Henty has romanticized Lee." I don't think he has, and neither has this production. 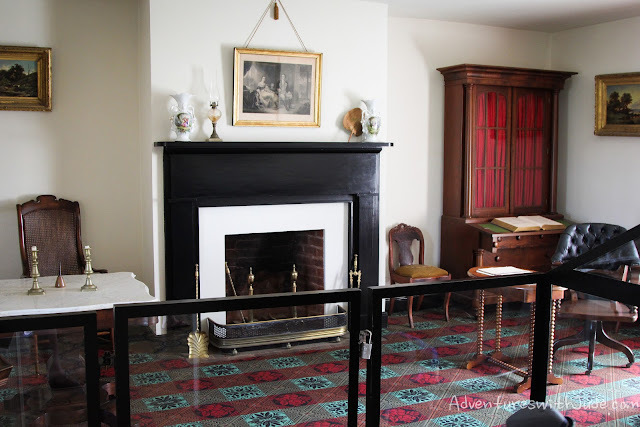 We listened to the story on our way to Appomattox, and our first stop there was the park's overview film, Appomattox, With Malice Toward None. This film, released in April 2015, also cast Lee in a similar light: an honorable soldier caught in a double bind when the war broke out, and whose conscience would allow giving nothing less than his all, even if he had chosen to fight for the losing side. For Luke, this was an important lesson: there are two sides to every story, and the truth often lies somewhere between. This story also showed Luke the importance of viewing history in context, and in its entirety. Aside from the story itself, Henty's personal bias toward slavery and the War was decidedly in favor of the Confederacy. It would be easy to deride him by today's standards, but to understand Henty, one must understand the Reconstruction-era world. 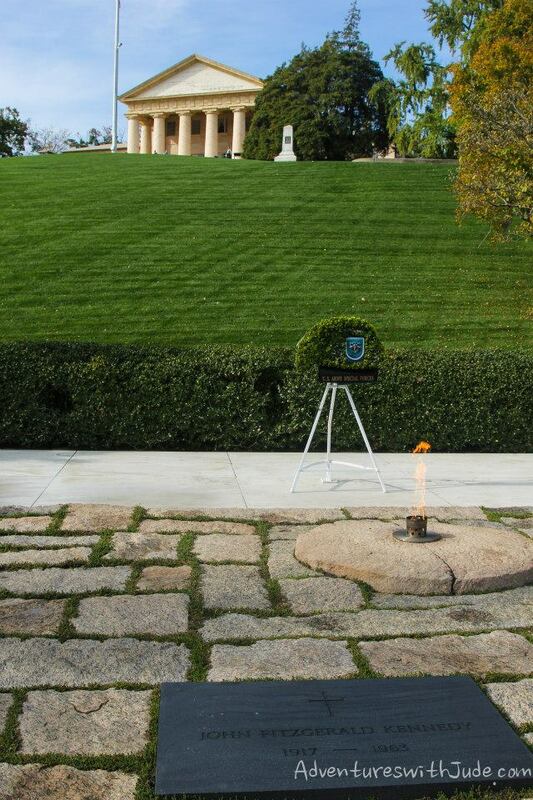 Last fall, we learned that Lee lost his Virginia estate after the war. 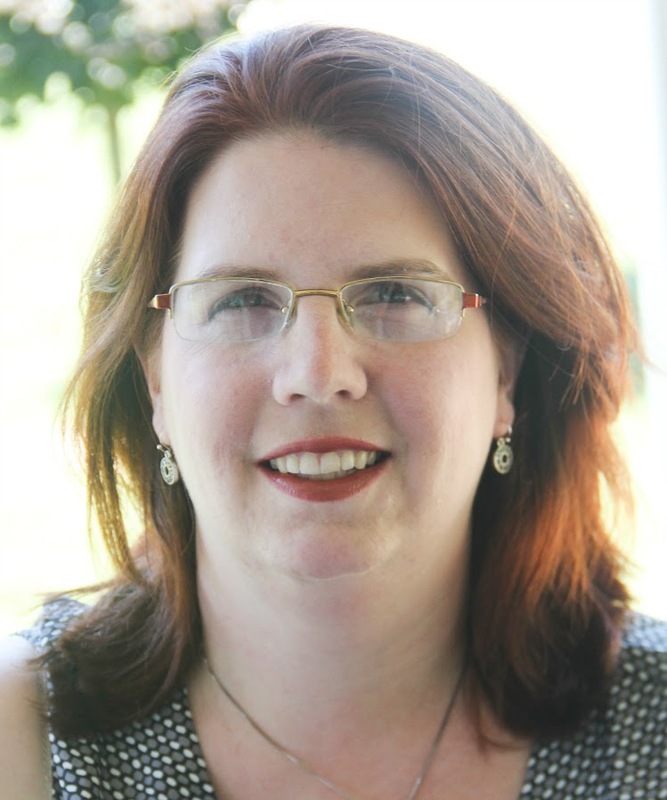 A lien for an unpaid tax bill was placed against it, and Brig. Gen. Montgomery Meigs seized the estate for a military cemetery. At first, we laughed. Lee may have survived the war, but nobody can outsmart the tax man. However, after learning more about Lee as a man, we can't help but feel that perhaps Meigs was far more vindictive than he had ought to have been. In addition to the two disc, two hour audio program, we received a downloadable study guide containing biographies of the real life main characters in the story, as well as historical maps, photographs, and drawings. The study guide helps facilitate discussion of challenging topics like slavery and towns and even families divided by Northern and Southern loyalties. We decided it couldn't have been easy -- even the first family was fractured when Mary Todd Lincoln's Kentucky-born brother-in-law fought and died as a Confederate soldier. The audio program is recommended for ages six and up, and the combination of audio plus study guide makes it a very good section of Civil War unit study for an older student. 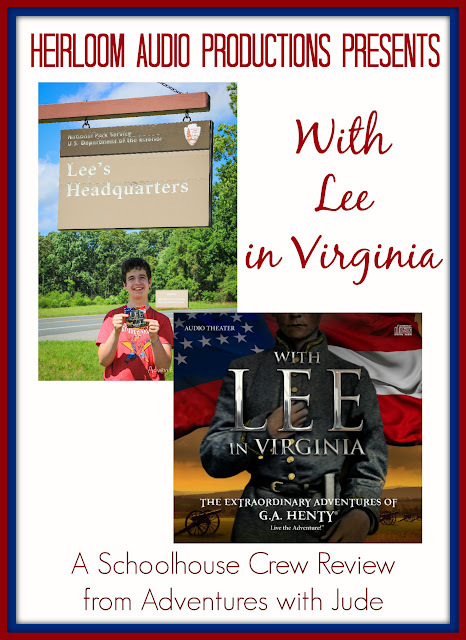 Politically, the Union was ultimately victorious, but With Lee in Virginia humanizes the story of the South's fight and shows Confederacy was comprised of rebels, not monsters. One side wore blue, one side wore gray, but both bled red. 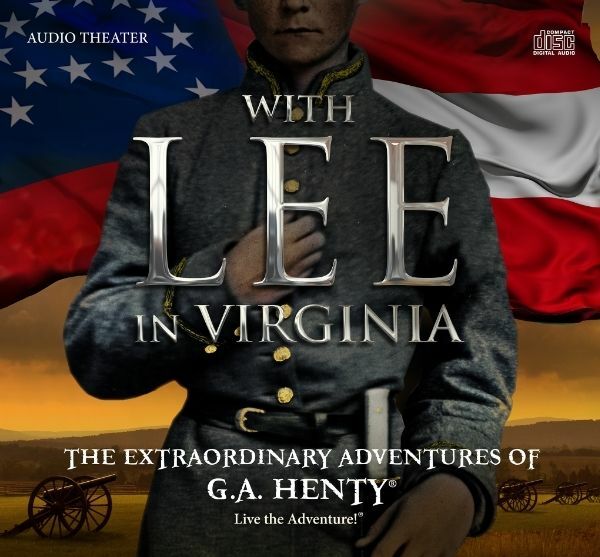 In our past editions of The Adventures of G. A. Henty from Heirloom Audio Productions, we've marveled at the feeling of being part of the action through the riveting dramas, and With Lee in Virginia was no different. If anything, knowing that this story wasn't just "old history," but our history, made it more special and important to us. We very highly recommend this program, and can't wait for the next in the series to be released! You can also read other reviews by clicking the banner below, or connecting with Heirloom Audio Productions on social media.